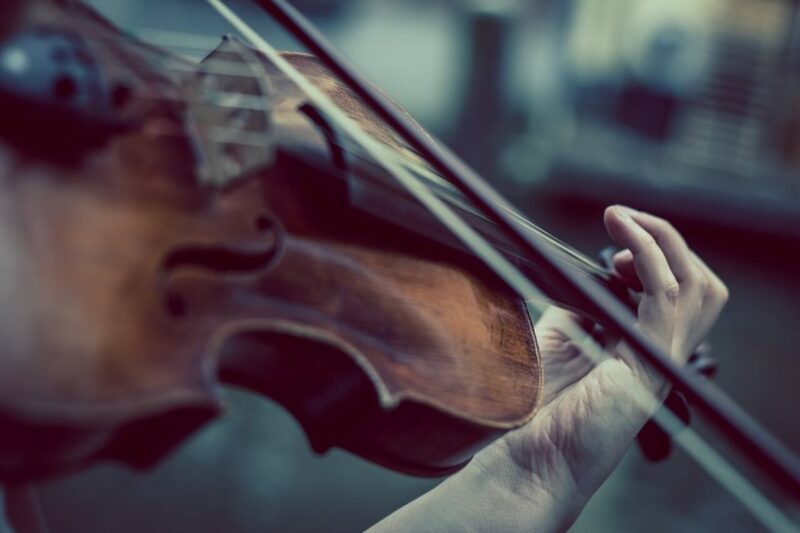 When accompanying a soloist, they can morph a warm and sustained tone to a whispered and subdued one that urges audience members to lean on the edge of their seats in astounded anticipation. 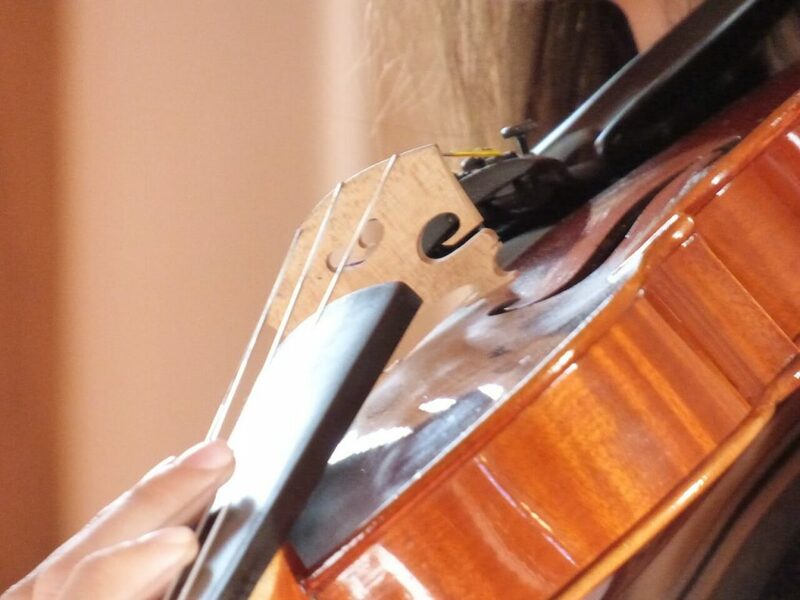 Because of these functions, violin mutes are widely used, both in composition by famed composers, and by traditional and experimental violinists in their own practice. The violin mute was first described to have been used during the 17th by Marin Mersenne, a philosopher, mathematician, and music theorist. Early pieces that use the equipment are Jean-Baptiste Lully’s Armide and Purcell’s alluring and poetic masque The Fairy Queen. In the latter, the mute is utilized to support soft and sustained textures for a streamlined vocal part. Christoph Gluck, in a surprising act for the 1700s, composed a movement, entitled ‘Chi mi parla?’, that incorporates rhythmic and staccato muted violin parts underneath a steady vocal melody, for his Alceste opera. More frequently, the mute is added to works of the Romantic and post-Romantic periods, when composers felt that many classic techniques of the violin had been expended, and that new methods for the instrument were necessary in order to maintain listener interest, and to stay on the edge of technological progression. To keep voices from piercing the ear, and to avoid risk of sudden volume peaks during the piece, Dmitri Shostakovich assigns mutes to the ‘Romeo and Juliet’ section of his Romeo and Juliet Suite. Possibly to express the voicelesness or inability to express remorse for killed friends and family members that Russians felt during the Soviet Union’s reign, Shostakovich uses mutes near the conclusion of his Fifth Symphony’s dramatic third movement. They help the violins express deep emotional agony, and serve as a mask in the midst of a narrator’s laments. Mutes are an essential component of a violinist’s toolbox, as many more compositions that require them exist. Hilary Hahn, world-famous violinist, owns “four or five different mutes” (not that this amount is necessary! ), and the members of the Debussy Quartet all have “big metal mutes which almost silence the instruments so that [they] can practise separately in the same practice room”. If a conductor sees one of his ensemble members without a mute attached to her instrument, even during an unmuted piece, chances are that he will become irate. For learned professionals and basic beginners, a mute is strongly suggested, if not highly expected. Sections of orchestral pieces that call for mutes usually supply ample time for users to equip their respective bridges with the items. As performers must manually insert the objects into their proper positions, some time is needed in order for the task to be completed successfully, and for the bow to return to a safe playing position. Normally, stringers are given at least some written rests so as to accommodate for the alteration. Over the years, several types of mutes have surfaced. 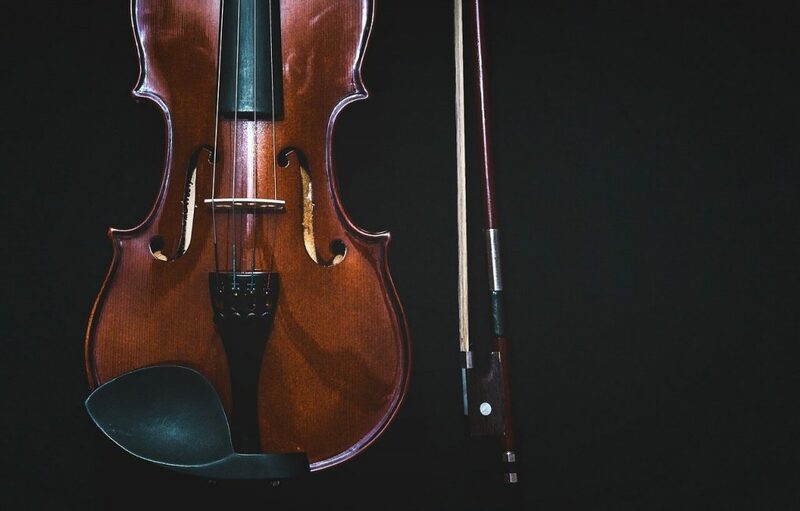 Rubber ones seem to be most common (they are what this writer has seen most often in orchestral settings), while those made of metal are dedicated by violinists to private practice. Both types come in many forms. Other mutes include handmade ones, such as clothespins, dollar bills with paper clips, and slabs of cut-up foam. Most professional ensembles (and youth orchestras, for that matter) probably prefer small mutes that do not jut out, and that do not beg for unwanted attention – black, rubber mutes are standard, as they provide a uniform, round, and dry tone. In classical sheet music, instructions regarding what to do with a mute are written as con sordini and senza sordini. These indications mean, respectively, with mute and without mute in the Italian language. Art music culture has preserved the terms in most of its repertoire, and, much of the time, even in scores whose tempo markings and dynamic indicators are in different languages, these words are used by composers and understood by readers. In a genre and art that is so founded on tradition, this is not unexpected. As was said, there are a variety of mute types. Rubber mutes take shape in numerous ways, and metal ones appear in a multitude of sizes. This list will provide the names of the categories of mutes that one can obtain, as well as titles of companies that produce them. It is intended to be comprehensive, and will give observers a sizeable amount of information helpful for discerning which item is most suitable for their purposes. The number of mute types and mute brands should not intimidate you in your search – if you have already selected and purchased an instrument, you have undergone the most stressful part of this undertaking. Finding a good mute should not be a problem, and, even if a mistake is made during the selection process, a single mispurchase is no catastrophe, as the items are inexpensive and easy to acquire. And now for the goods. A “popular mute for solo and orchestral playing”, the shaped mute is an archetype of its genus, as it is small, unobtrusive, and soft on the strings. Its design implies that a user attaches the item to her string, even when not in use, so that it is readily available for fast action. A short and thin stump protrudes from the mute’s top, making the object easy for one’s fingers to latch onto, and its material ensures ease of grip. The mute’s light weight and tenderness allow for soft grace upon the string, eliminating any chance of obnoxious noise from its contact with the metal twine, and ridding any reason for fear of damage from the attachable object. A standard amongst professional and novice orchestra musicians, the shaped mute suits a range of purposes, from quick motion, needed for compositions that allow less time in between unmuted and muted sections, to flat, equalized tone quality. Ownership of this tool is practical and encouraged, its ubiquitous use during concerts allows for smooth and flowing performances, unhindered by conspicuous sights. Ranging from as cheap as 99 cents (plus shipping) to the still-low price of five dollars, these certainly make a bang for their buck, as they can last for some years. Tourte is the most popular brand for shaped rubber violin mutes. In fact, other makers of the product are difficult to find, if not nonexistent, though many intermediaries sell the commodity. Tourte is named after François Xavier Tourte, a clockmaker-turned-bow-developer, who has been suggested as being “the most important figure in the history of modern bow making”. The round rubber mute, like its shaped counterpart, allows for an ordinary soft tone, as it consists of no material that causes shrill annunciations. Similar to the shaped mute, it is a normality among string musicians, and should not attract odd looks or criticizing thoughts. It differs from the shaped mute in that it has no stub by which to grab it, as well as in that its shape is round. Made up of more of the same type of matter, it is slightly heavier, and leads to a duller, more “rounded” tone. The round rubber mute sells for any price from one dollar to eight, and are as common as shaped rubber ones. Easy to find online and in violin and music shops, a search for them will yield quick results. Tourte makes rounded rubber mutes, as well, but faces competition for their sale. Xinxing is another well-known rounded mute-maker, and its supplies have good reviews. East also makes fine rounded mutes, and the manufacturer’s products are broadly popular. This large mute is perfect for independent practice, especially that which takes place in crowded backrooms or in private settings with family members or roommates who ask for peace and quiet. Largely unsuitable for group and solo performance, it is conspicuous and cumbersome, able to detract attention from the important sections of an orchestra, and posing a challenge against swift placement during busy passages. Its size and surface area form powerful muting potential, and it is one of the stronger tools of its kind. It can reduce a violin’s sound to about half – the round rubber mute is capable of removing no more than a quarter – of its regular volume; with it on, forte projection is nearly impossible. Despite the mute’s physical volume, it is lightweight. 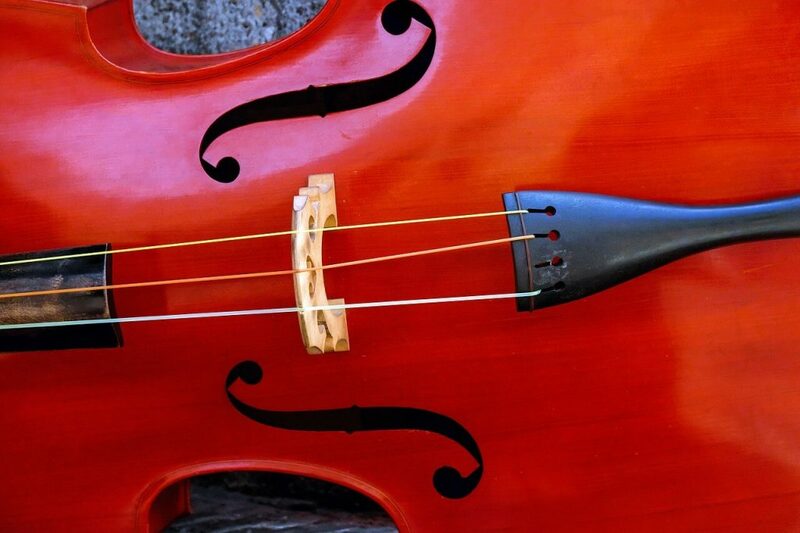 This feature and the rubber properties prevent any harm that an extension to a violin’s strings might otherwise inflict, and are forgiving to the player who does not remove the utility after practice. Though malicious comments might be made about its owner if used during a professional concert or recital, this mute is ideal for obligatorily quiet practice sessions, and can serve well to prevent disturbance against neighbors. Because of their extra material, five-prong rubber mutes are slightly more expensive than smaller ones are. But, with a price range of three dollars and a half to nine dollars, the equipment pieces are still affordable, and can be enjoyed by most without anxiety over budget. The five-prong rubber mute is a favorite among musicians who have undeterminable practice schedules – i.e., those who practice at any time from five-thirty in the morning to eleven o’clock at night. Consequently, there is more than one producer of the object. With five-star reviews throughout the internet, Ultra is the most esteemed maker of five-prong violin mutes. Its products are usually plainly colored, coming in black, crème, pale-red, and beige tones. Their sturdy builds and moderate weights make for substantial pieces of equipment. Libbe is another reputed violin mute brand. Making bodies that are as solid as Ultra mutes’, the brand has plenty reason to receive positive feedback, as it rightfully does. Metal violin mutes are like five-prong rubber mutes in that they dampen very much of their instrument’s sound. In a demonstration of the tool’s faculties, someone plays a violin while another attaches to and removes from a violin a metal mute, thusly revealing the item’s aptitude for exponential volume reduction. Being a heavier device, and spanning a wider distance than the shaped and rounded rubber mutes, the metal mute cancels out more sound than does the five-prong one; its additional weight upon the bridge further limits the amount of vibrations that can occur throughout the violin body. A metal mute is not ideal in orchestral concert settings, except, perhaps, during an avant-garde performance or for a neo-classical piece. This is due, again, to its mass and bulk, and the noise that it can incur when pushed toward the bridge. Rather, it is fitting for self-rehearsal in close proximity to people who wish not to be disturbed. A hotel room, the private quarters of a cruise ship, and the backstage greenroom are perfect examples of areas in which it might most noticeably come in handy. Due their mass, weight, and material, metal mutes are more expensive than any mentioned thus far. Online prices range from about six dollars to a little over twelve. Through their costliness, they are certainly priced at their proper value, as they provide a high magnitude of diminution of violin sonic output.